When it comes to probes not all are built alike. We went through many different brands of probes to bring one in that we were comfortable putting our name on. With high-quality materials, the BRS Lab Grade pH probes will last longer than most other standard grade probes while giving more consistent readings in between calibrations. 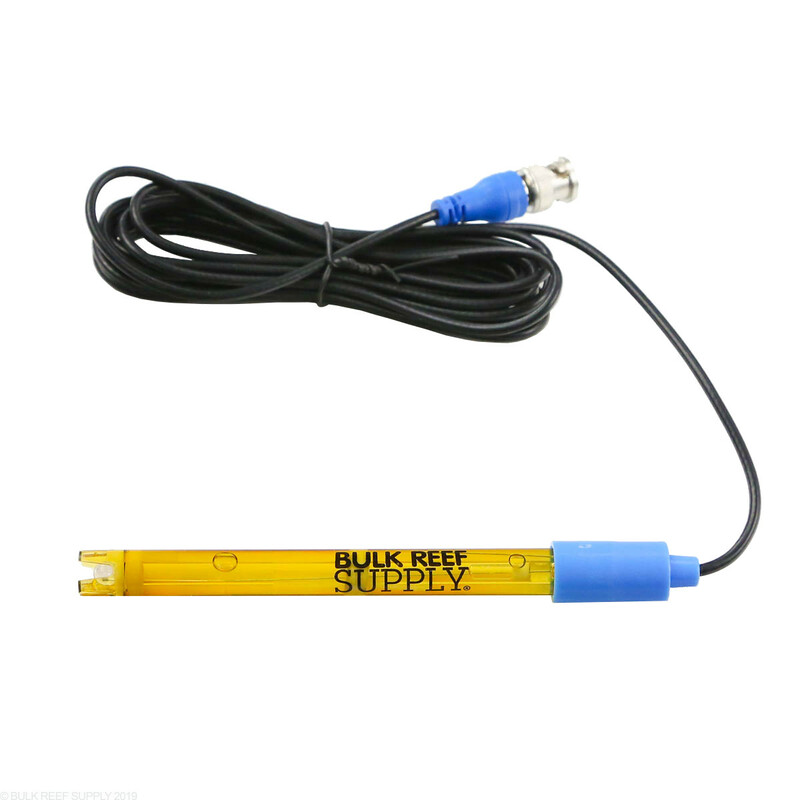 High quality, American-made pH probe to meet your saltwater aquarium needs. Double Junction Probe: A double junction probe has a second seal and junction found at the center of the probe. The double junction design adds to the cost and complexity of the probe but they are recommended in instances where the probe will come in contact with proteins or heavy metals. When these elements come in contact with the silver within the probe gel they can precipitate on the porous junction and clog it which can cause drift and shorten the life of probe. The double junction design used in this probe has a second junction in the center of the probe which creates two chambers within the probe. The first one is filled with the reference gel containing mostly potassium chloride, silver chloride and reference probe. The second chamber has just reference gel containing mostly potassium chloride. This design prevents precipitation by keeping the silver away from the second porous junction at the bottom of the probe which is exposed to the aquarium water. The BRS Lab Grade probe uses pelon strips as a junction material which is a true electrochemical insulator which allows a complete circuit between the reference probe and the tank but allows a very minimal transfer of elements found within the probe or tank. The pelon strip is also much easier to re-wet than the ceramic junctions in the case of accidental drying out of the probe. The BNC connector is also made to higher quality specifications with superior insulators between the shell and center pin to reduce noise and increase accuracy. The outer shell on the BRS Lab Grade Probe is made using Ultem rather than less expensive polycarbonate which is what most probes use because it is the most inexpensive material available. The Ultem shell is a highly resistant material and inert to a wide range of materials making this one of the more chemically compatible options available for probes like this. I ordered one of these to replace the one I had that was over 2 years old and not functioning properly anymore. The first one for what ever reason did not work correctly if at all reporting a pH reading of 8.29 no matter what I did (re-calibrating, inserting in straight R.O. water, etc.). Tyler sent out a new one for me and this one works fine (Thanks Tyler!). BRS is top notch, but even they can run into an issue with a product every once in a while, but totally stand behind their products and customers. Easy to calibrate. Long life. This probe is excellent quality and workmanship accuracy is as good as a PH probe can be based on water and atmosphere parameters. Will this work with the Neptune system? Our BRS pH probes are fully compatible with Apex Controllers. You will need to calibrate the probe, but it will work just fine. 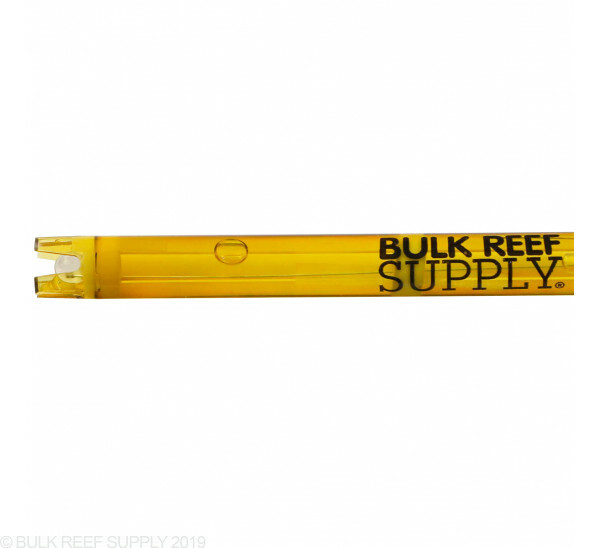 Will this work with a Reef Keeper Lite? 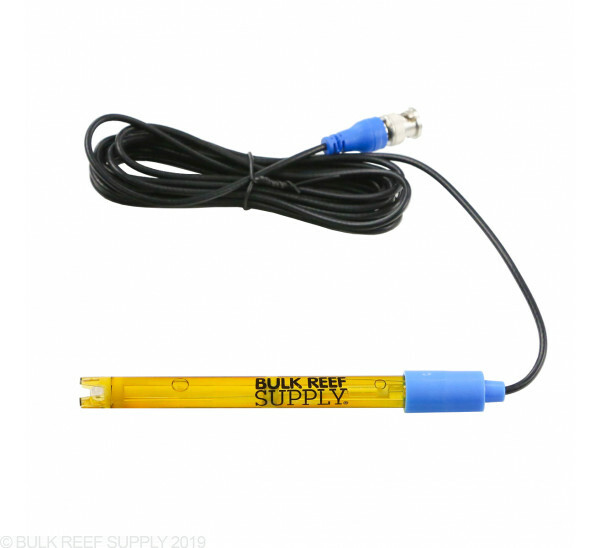 The BRS PH Probes are compatible with ReefKeeper SL1 and SLX modules. If your current probe has a BNC connector, it will be compatible. Is this compatible with the Neptune Apex system? The great thing about most pH probes is that they use a pretty universal BNC connector. The Apex systems can use any standard pH probe, including the BRS probe. What is the temperature range it can handle? 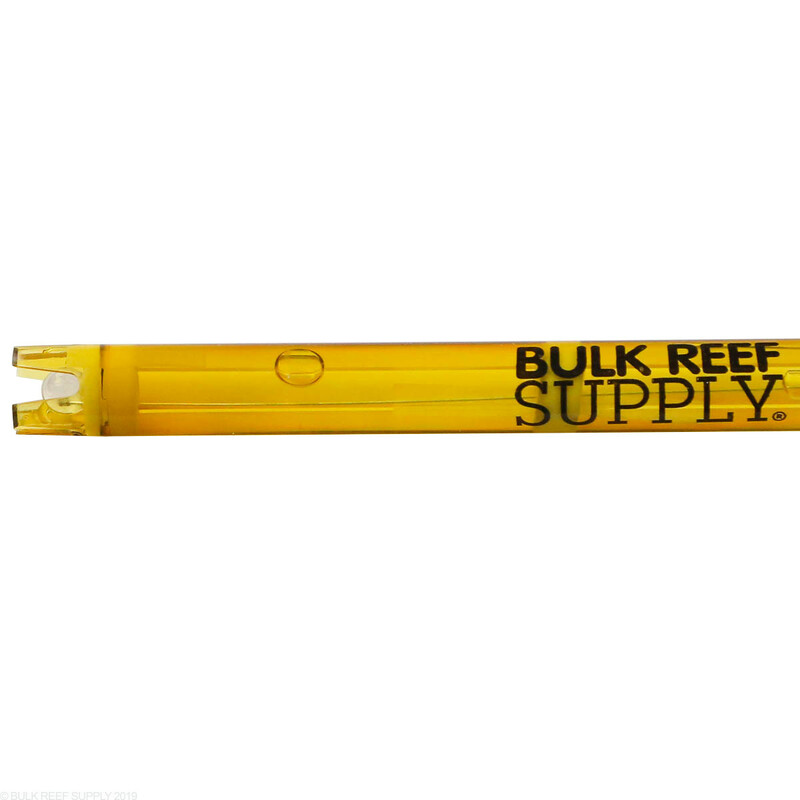 We use this probe in reef tanks that have temperatures between 72-82 degrees. Anything outside of that I cannot say whether it can work properly. Will this be a suitable replacement for a Milwaukee MC122 PH Controller? This pH probe would work very well with your Milwaukee controller. Will this probe work with a pinpoint monitor? and is it better than the pinpoint probe replacement? Thank you. Our probe will work well with the Pinpoint pH monitor! Have a great day!